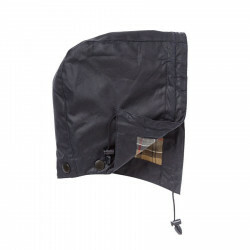 Navy Barbour waxed cotton hood. An essential piece of the Barbour range, this waxed cotton hood fits and matches the colours of the Navy Bedale Classic Barbour jacket. 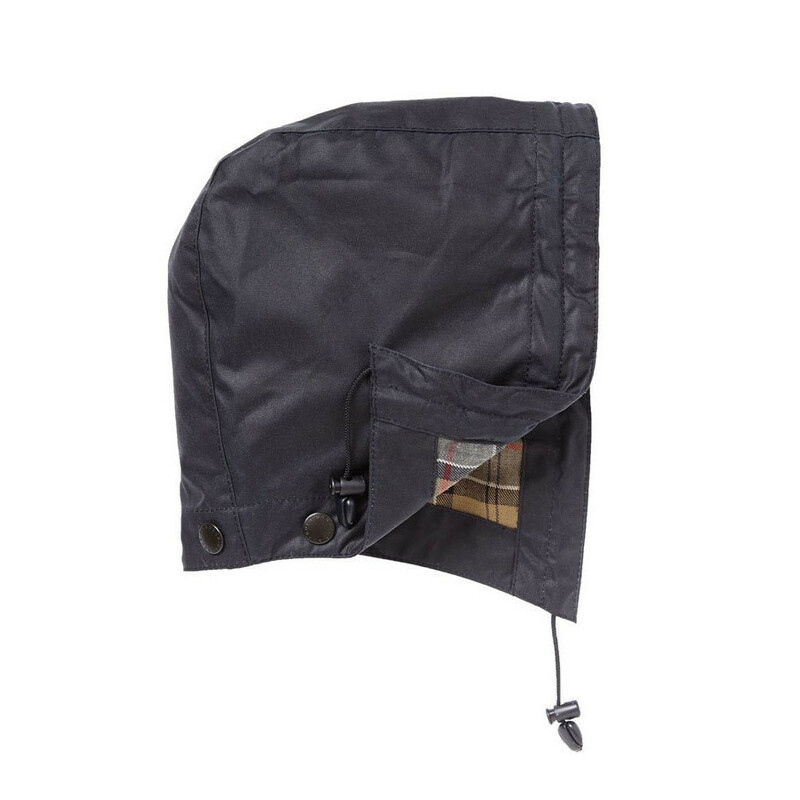 A snap-on hood fitting your Barbour jacket for a perfect weatherproof style. Fixée par boutons pression, elle complète votre ensemble Barbour en vous protégeant des vents et du froid.